Contrary to what the name suggests, Panama Hats originated in Ecuador. 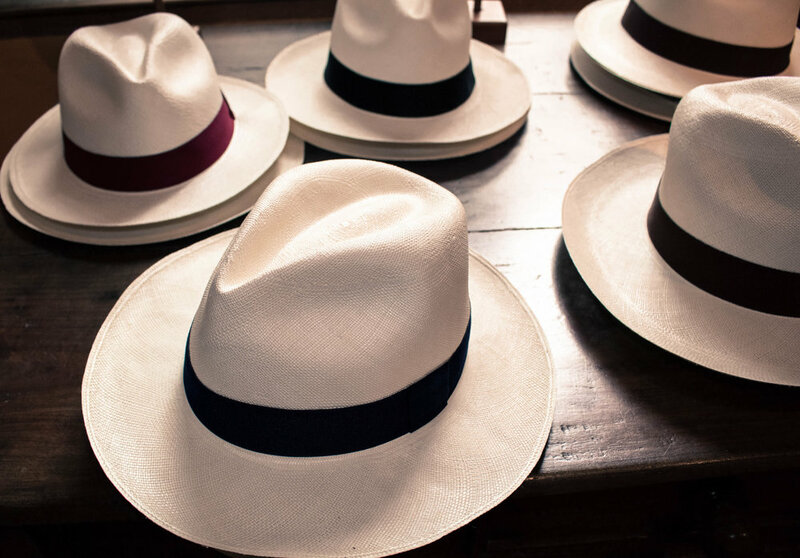 When purchasing a Panama Hat, the true sign of authenticity and quality is the “ hecho en Ecuador” stamp. Panama hats are made from paja toquilla, a kind of straw cultivated in the Andean and Coastal regions of the country. The epicentre of the Panama hat is Cuenca, in the Azuay province. Set at an altitude of two thousand five hundred and eighty meters, the little town of Cuenca has kept intact the charm of its colonial past. It’s remarkable to see the extent to which this mountain town has made the hat a tradition. There are several thousand weavers in the Azuay and Canar provinces. The hat is a part of their lives. All peoples indigenous to the the Azuay province own and wear the hats. They are a mark of social status. Each native person owns at least three and on Sundays it is customary to go to the market wearing a new hat, the whiter, the better. Panama hats vary greatly in quality according to the straw chosen, the expertise of the weaver and the time spent creating it. The type of weave and the time taken is the factor which decides on the weaver’s output. This can be anything from one to six per week. But to make the finest quality hat can take up to several weeks.